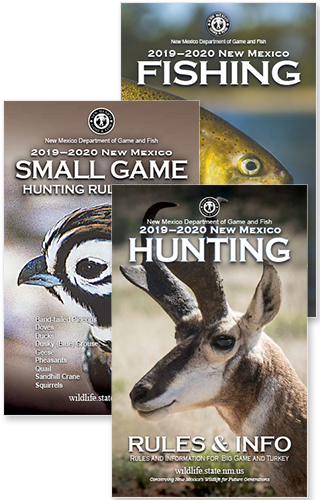 SANTA FE – Sales of “over-the-counter” fishing and game hunting licenses for the 2019-2020 license year is now open, giving anglers and hunters an opportunity to have licenses in-hand when the new license year begins April 1. Anglers will need a 2019-2020 fishing license beginning April 1. The first hunting seasons of 2019 will be for spring turkeys. Those seasons are April 12-14 for youth-only hunts and April 15 for everyone. If you purchased a game hunting or game hunting and fishing license through the 2019-2020 draw application, it is now available in your account under my purchases. More information about license fees, required stamps, season dates and other rules is available at www.wildlife.state.nm.us or toll-free, (888) 248-6866.